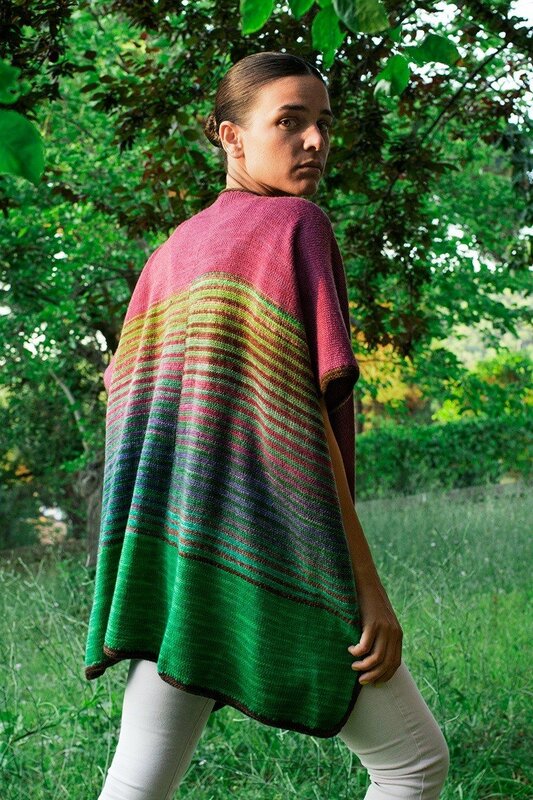 This tri-color-blocked ruana is a versatile wrap that should be in every woman’s wardrobe. It can be worn for any occasion from casual to business to dressy occasions. Add a belt for a more fitted look or drape it over the shoulders for a more casual style. The loose construction means that one size fits all and lends itself to layering for colder days. A timeless piece that makes a great gift because you don’t need to worry about size or fit!